Users can export Fulcrum data, make changes and add information elsewhere (in, say, Excel), and then reimport to update those data. This can be very useful when needing to update or modify a large number of records. 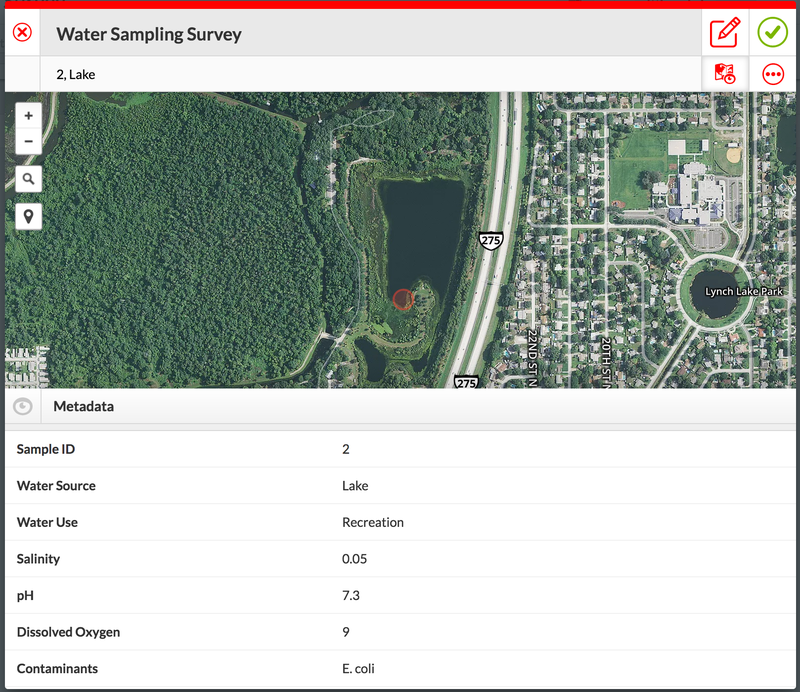 For this tutorial, I am exporting data of locations where water samples were taken, intending on adding the lab results via Microsoft Excel. Export your data to get started. Follow the steps of the export wizard (if using the main exporter) or filter your data to the data that you want to include in the exported data file (if using the download option in the record editor). This data was exported as a CSV file, which can be edited in Excel, Numbers, or any number of other tools. I added salinity, pH, dissolved oxygen, and contaminants to the records - data points derived from another source outside of Fulcrum. I want this data to be distributed along with my field-collected data to my field teams, so loading it into Fulcrum will allow it to be synced down to mobile devices. NOTE: You will note in the screenshot above that there is a column that says 'fulcrum_id', regardless of which exporter you use (the record editor exporter uses '_record_id') the first column will contain the record IDs that Fulcrum has assigned to each record. This ID should not be edited and is what is used by Fulcrum to map the row in the data file back to the record in Fulcrum. NOTE: If you are updating/importing data in a repeatable section both that parent and child data files need to be imported at the same time. To do this, place both files in a folder then compress that folder into a ZIP file and upload that ZIP file into the importer. Return to the Fulcrum web app and select Import from the app options box. Follow the import wizard. Fulcrum will automatically detect and using the record ID’s, match the record ID from your data for each record with the corresponding record inside the Fulcrum database. After the import process is completed, the new data can be seen in the record view.